It’s not just about skiing and Christmas in Gatlinburg. This Tennessee town is an ideal student travel spot in any season. Gatlinburg is eastern Tennessee’s playground, a place where the natural beauty of the Smoky Mountains is augmented by a slew of manmade activities. Its Christmas festivities might be legendary, but that’s only a few weeks out of the year. Gatlinburg is just as interesting — if not more so — when you visit it with an eye to exploring what it has to offer regardless of the season. Gatlinburg is also a natural destination for student travel groups. Not only does its layout make it easy to navigate, centrally-located hotels like Greystone Lodge on the River give students the opportunity to do a lot of things without setting foot in a car. If you’re planning a student getaway and you need a lot of activities in a relatively compact area, Gatlinburg is a good choice no matter what the season. First, let’s talk about some of Gatlinburg’s more educational activities. There are several top attractions that offer an educational bent, including the Space Needle, Ripley’s, and a thriving arts and crafts scene. Gatlinburg’s Space Needle is certainly an experience; an observation deck perched 400 feet above the ground provides an unbeatable panoramic view of the city and its surroundings. The Higher Learning exhibit enhances this further, giving students a look back into history (for example, showing corn fields and log cabins at the site of the current Convention Center). Think of it as a sky-level lesson in Tennessee history. Ripley’s Believe It or Not Odditorium is another popular stop for students. It’s filled with 500 exhibits and artifacts of the arcane and unusual, including vampire killing kits, shrunken heads and a robot sculpture. Additionally, guests can purchase tickets to additional Ripley’s attractions, such as the 5D Moving Theatre, a mirror maze, mini golf, a haunted house and an interactive exhibit celebrating Guinness World Records. The Ripley’s Aquarium of the Smokies, another Ripley venue, was recently voted the best aquarium in the US. It offers a glass-bottomed boat ride, mermaid dive shows, an exhibit dedicated to Pearl Harbor, and a chance to see sharks, rays, penguins, and other favorite sea creatures. For a more artistic group, Gatlinburg’s Arrowmont School of Arts and Crafts offers a selection of events, lectures and lessons. Workshops can last for a weekend or stretch into two weeks, while community classes are available on a first-come, first-served basis unless students have pre-registered. (Note: Workshops are open to students 18 and older.) Younger groups can visit the Arrowmont campus and see artwork by local, national and international artists. And if your group happens to be in town during the annual Hands On Gatlinburg Arts & Crafts Weekend at the Great Smoky Arts & Crafts Community, they can observe craftspeople do everything from blow glass to handcraft a peppermill. The Community also hosts other craft shows and special events throughout the year. As far as I know, there’s no law stating that guests in Gatlinburg must visit Great Smoky Mountains National Park, but almost everyone does. After all, this is considered by many to be the crown jewel of America’s national parks. There are hundreds of miles of trails waiting to be explored, and local outfitters can set your group up for horseback riding, biking, rafting or even ziplining. Check out the Great Smoky Mountains National Park website’s Temporary Closures page for more information. 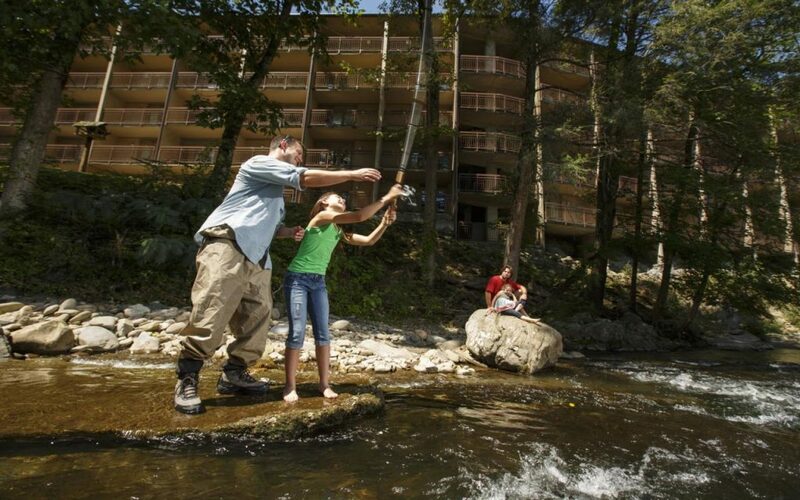 Another major outdoor attraction is Ober Gatlinburg. This is Tennessee’s only ski resort, but it’s active all year with a roller coaster, an indoor ice rink, tram rides, hiking and much more. In fact, simply taking the tram from Gatlinburg to Ober Gatlinburg (and maybe staying for lunch or dinner at one of the resort’s eateries) is an unforgettable activity on its own. 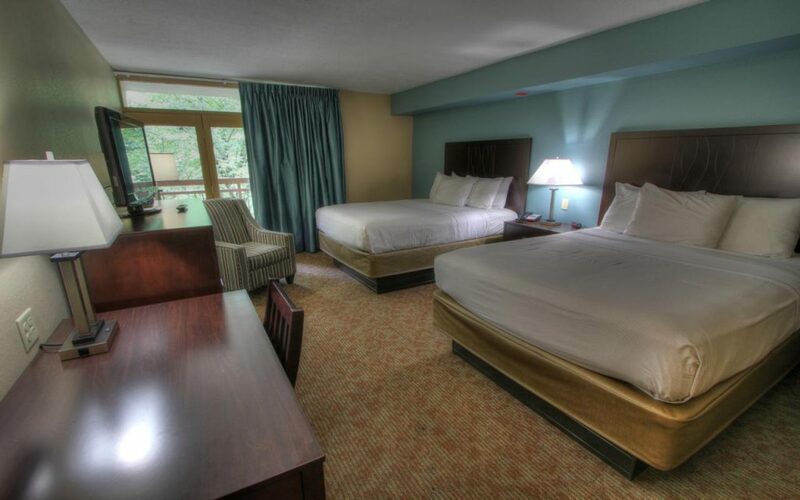 Where Can Your Student Group Stay in Gatlinburg? When it’s time to rest up or fuel up, consider checking into Greystone Lodge on the River. 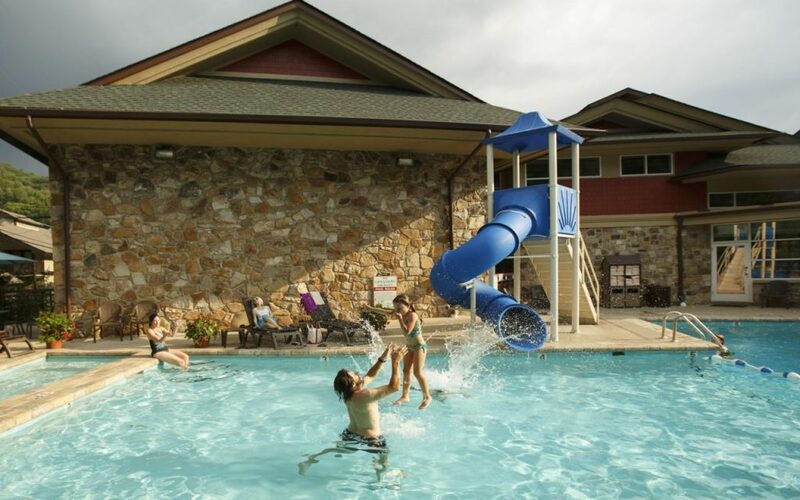 This resort is located in downtown Gatlinburg, within walking distance of most of the city’s top attractions and across the street from the main trolley stop. Recently, its 240 rooms and suites underwent a $7.5 million total renovation. Wi-Fi access and flat-screen TVs stave off the possibility of any dull moments. The resort also has Gatlinburg’s largest outdoor pool (with waterslide). Should your group require a little more space, Greystone Lodge also offers cottages for rent. These would be ideal for smaller groups; they are located only a mile away and offers access to the pool in the main building. And although great dining options are just a stone’s throw away, guests usually don’t seek them out until lunchtime. 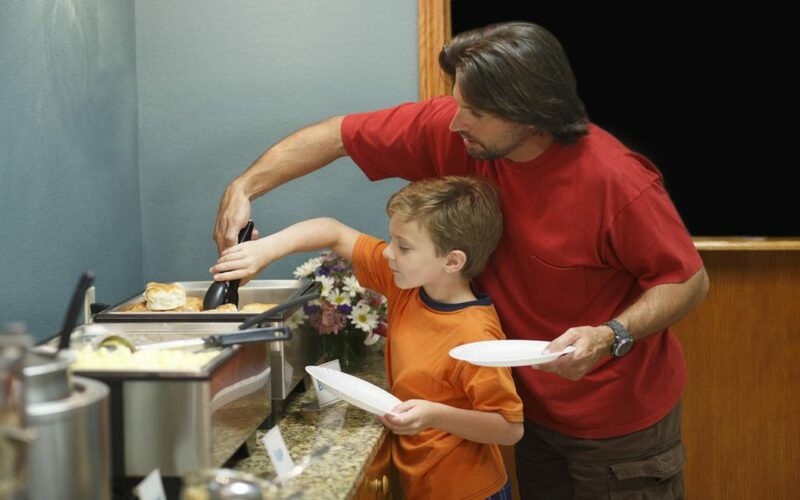 That’s because Greystone Lodge provides a deluxe complimentary breakfast buffet, complete with donuts, eggs, and homemade biscuits and gravy. When the hours for lunch and dinner come around, Gatlinburg showcases a variety of restaurants that are clearly experienced in catering to the American tourist’s palate. The culinary landscape has options that range from freshly caught trout to Southern fried chicken. Student favorites like burgers, pizzas, steaks and tacos are well represented, but don’t forget to sample the local barbecue as well. You also might reverse tradition with a little “breakfast for dinner” at one of Gatlinburg’s famous pancake houses. Indoors or out, Gatlinburg has a lot to offer student travel groups. It should be on your short list of travel destinations for winter, summer, spring or fall. Whenever your group stops by, they’ll be assured of a warm Southern welcome and an experience they won’t forget.